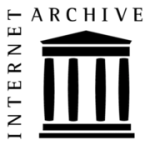 A short post this week reminding the AHTR community of the new Archive initiative. We usually use the Weekly soon after CAA or SECAC to post a summation of the pedagogy sessions in which AHTR has participated. But now, with the Archive, which we hope to launch in the next few months, this would be a redundant exercise. AHTR will be providing a space for conference sessions dedicated to pedagogy to be archived as reference points for future use. We have already been in contact with the recent sessions at CAA and Anne L. McClanan and Virginia G. Hall sent a great recap of the Forum Discussion: Rethinking Online Pedagogies for Art History. If any of you participated in or served as Chairs for pedagogy sessions at either CAA, SECAC or any other conference where the material presented would be pertinent to the mission of AHTR, do get in touch! We would love to preserve your hard work on the AHTR site and make the information available for future use. We also invite authors to consider expanding their papers for submission to AHPP. The first CfP will be published very soon!